Planning a visit to one of the Universal Studios Parks, either in the United States or abroad? Why not make a whole holiday out of it and book a comprehensive vacation package that will include everything you need? The bulk of vacation packages to Universal Studios are for the Florida resort. Right now, the Florida resort contains two theme parks: Universal Studios Florida and Universal's Islands of Adventure. Come summer 2017, a water-based theme park called Universal's Volcano Bay will be added to the collection. Other vacation add-ons include entertainment, spa packages, dining packages, and even trip insurance. Be sure to check at the bottom of the page for the special limited time offers to see if any additional discounts apply for your planned time of year. Cost: Packages can be as short as one night and prices vary widely based on origin (for flight inclusive packages). Depending on the time of year, a holiday package with three nights accommodation and a three-day pass to both parks can start as low as $189 per person, per night. 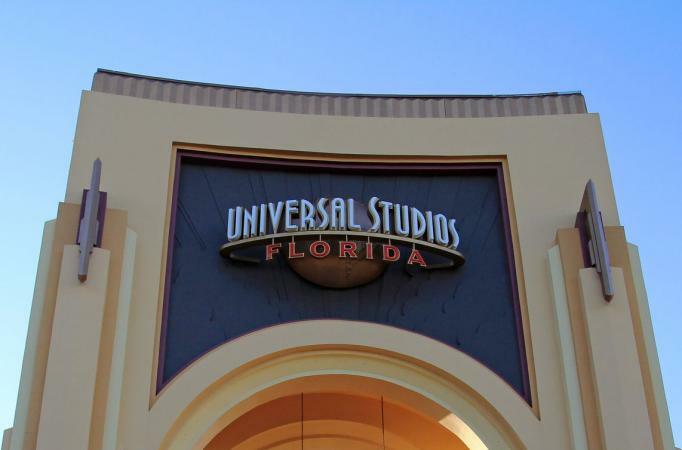 Both JetBlue and Southwest Airlines offer vacation packages to Universal Orlando. Fly into Orlando with Southwest Airlines and choose from a wide range of hotels, like Universal's Hard Rock Hotel, Doubletree by Hilton, and the Embassy Suites Hotel Orlando International Drive South. JetBlue Universal vacation packages include accommodations at the on-site hotels. One benefit to staying on-site is the ability to visit the park an hour before it opens (theme park admission required). If you stay at Loews Portofino Bay Hotel, Hard Rock Hotel, or the Loews Royal Pacific Hotel, you can also enjoy FREE+ Universal Express unlimited ride access to skip the regular lines. Cost: Pricing for airline vacation packages vary based on flights and hotel chosen. From about $529 per person, you can fly in from New York's JFK airport and stay for four days and three nights at Universal's Cabana Bay Beach Resort. The same package with a stay at Universal's Loews Portofino Bay Hotel starts at $985 per person. If you're an AAA member or have a Costco card, check into their options for discounted vacation packages. Check the Costco website for current Universal Orlando featured deals. AAA also offers Universal Orlando deals; purchase tickets in advance and enter your zip code to check for special vacation savings for your region. Terrific vacation packages for visiting Universal Studios Hollywood are also widely available. 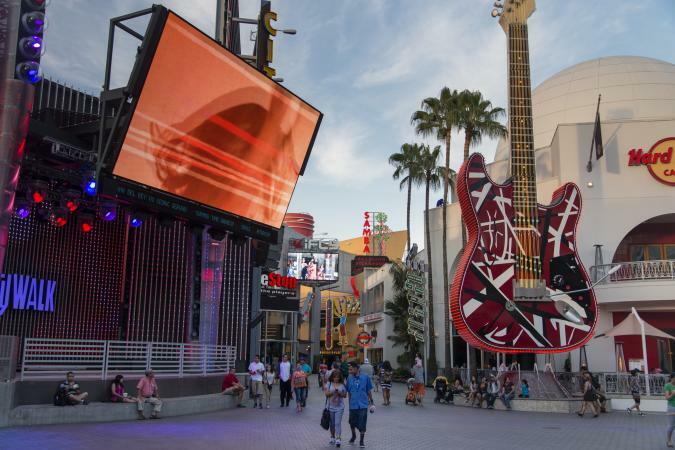 Universal Studios Hollywood sells its own vacation packages. Choose a package with hotel and 1-day general admission tickets or upgrade to a package with VIP Experience tickets and hotel. Both include early admission to the Wizarding World of Harry Potter one hour before the theme park opens (subject to capacity, cancellation, and change). Packages are fully customizable with over 30 hotels to choose from, and the one day general admission tickets save you $5 off the front gate price. Cost: Pricing varies based on hotel and dates. A typical one night weekday package for two adults and two children is around $670 for an on-site stay at Sheraton Universal Hotel. For about $770, enjoy the same package at the Loews Hollywood Hotel where you can have a view of the famous Hollywood sign. VIP Experience packages cost considerably more. A weeknight vacation for two adults and two children at the Comfort Inn and Suites is around $1,660. Staying at the Hilton Los Angeles in Universal City is around $1,750 for the same. Southwest Airlines sells vacation packages to Universal Studios Hollywood as well. Flight options include arriving at Los Angeles (LAX), Burbank (BUR), Ontario (ONT), or Orange County (SNA) airports. Choose your flight, then pick a hotel from a wide list of options both near Universal Studios Hollywood or in other nearby cities like Hollywood or Beverly Hills. You can also add a variety of tickets to your package, including the Universal Studios VIP Experience and Front of the Line pass. Options for Disneyland, Legoland, and Knott's Berry Farm are also available, so you can hit a variety of theme parks on your holiday. 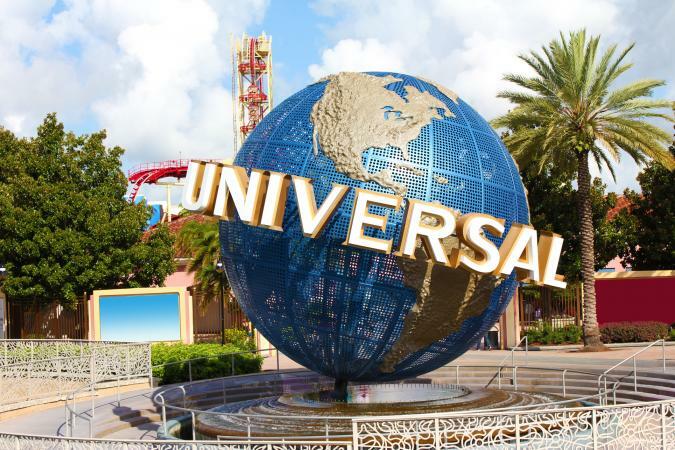 Vacation packages at Universal's international resorts aren't as expansive as those for the US-based parks, but there are still some options. JapaniCan has a two-day deal that includes round-trip tickets on the Tokyo - Osaka Shinkansen bullet train, a one-day pass for Universal Studios Japan, and accommodations in Osaka. Prices range from around JPY 30,680 to 34,380 (about US $260 to $295 per person), which is based on two adults sharing one room. Prices vary by number of people in the party, date, and other considerations. Tokyo Travel Pal also has a train travel package. 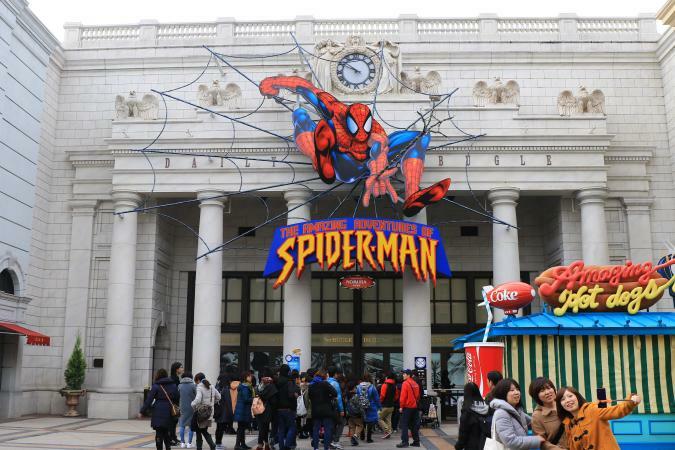 It includes a stay at Hotel Granvia Osaka, bullet train tickets, and one-day park passes. Prices start at around JPY 34,380 per person (or about US $295). Package prices start at S$478 (or around US $330). The Universal Studios official websites are the best starting points for vacation packages as they often have the lowest prices. If you need to fly to either Orlando or Los Angeles, definitely compare options like JetBlue or Southwest Airlines, as the overall price per person might work out to be very reasonable. And, if your budget allows, packages that include VIP treatment are the best way to go as they include front of the line passes and behind-the-scenes tours, making for a stress-free vacation to the Universal Studios resort of your choosing.